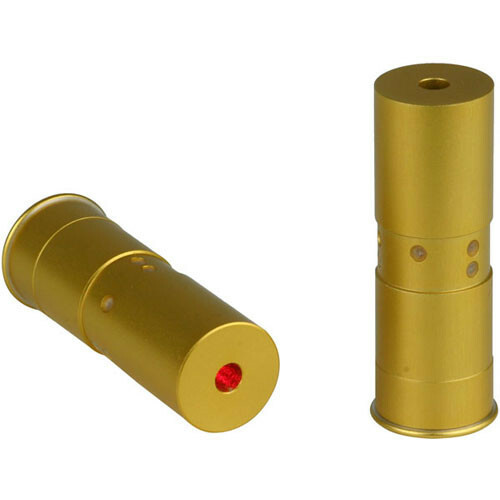 Boresight your shotgun quickly and easily with the Laser Boresight for 12 Gauge Shotgun from Sightmark. The boresight is loaded into a chamber like a regular cartridge and projects a laser dot onto your target that shows you exactly where you are aiming. Using this device will save you real cartridges and shells. Also included are 3 AG3 batteries and a carrying case. Box Dimensions (LxWxH) 8.9 x 5.5 x 1.1"
Laser Boresight for 12 Gauge Shotgun is rated 4.7 out of 5 by 3. Rated 5 out of 5 by Anonymous from As expected Worked as expected with no problems. Rated 5 out of 5 by lancer 003 from I will buy several more boresighter. A very good and helpful product.